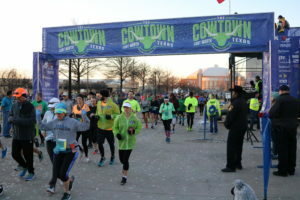 Welcome to The Cowtown Marathon, the largest multi-event race in North Texas! Thank you for choosing to run one of our great races, or challenging yourself with two. With distances for everyone, including both the Kids 5K Presented by Academy Sports and Adults 5K, 10K, Half Marathon presented by Sprint, Marathon, and Ultra Marathon presented by Miller Lite, we accommodate runners and walkers with all athletic abilities. 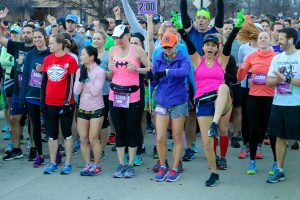 This year, The Cowtown Marathon will be celebrating it’s 42nd year of running on February 28th, 29th, and March 1st. We would LOVE for you to join us as we welcome runners from all over the nation and the world. Our participants will experience Fort Worth, Texas like never before and leave with miles of memories of our great city. The entire family can participate as runners, volunteers, or spectators, cheering along the route. 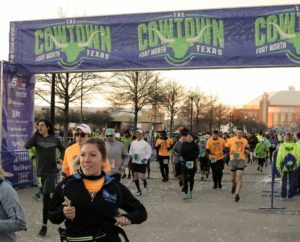 Ambitious runners can take on The Cowtown Challenge and run a race on both days, earning three medals and a special gift! 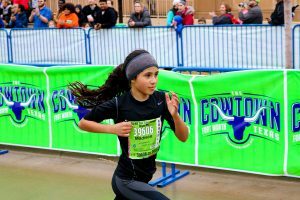 Because The Cowtown Marathon is a nonprofit 501(c)(3) program, proceeds from every race entry go toward helping low-income children in North Texas receive a free pair of running shoes and a reduced entry fee into our Kids 5K Presented by Academy Sports. Good luck with your training and we will see you in 2020! !